I’m not your garden-variety or mountaintop environmentalist, I guess. I’m more of an urban environmentalist, committed to protecting our planet from the sadly unwise harms we cause through heedless and unsustainable practices that stem from our collectively losing touch with our natural environment. 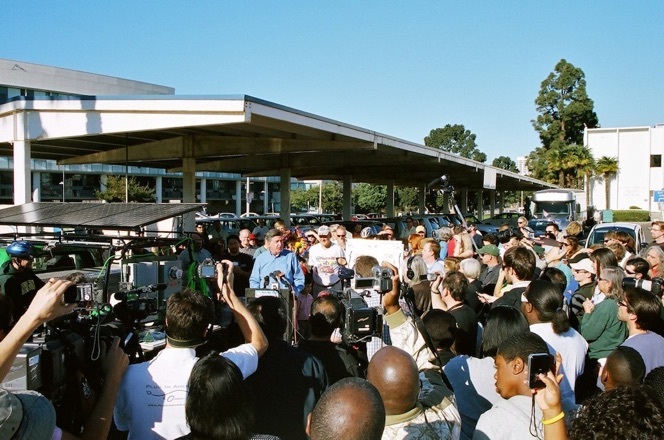 My focus is what we in Santa Monica can do to live light on the land. 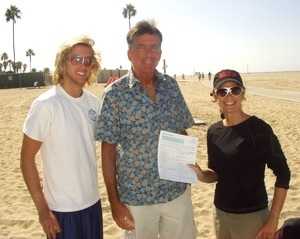 Keeping our beaches clean is a Santa Monica priority! 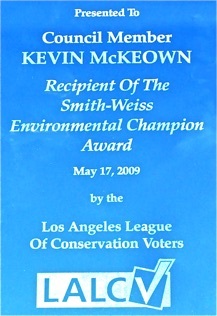 It was truly an honor to be recognized by the Los Angeles League of Conservation Voters, but the award was really for all of us in Santa Monica. 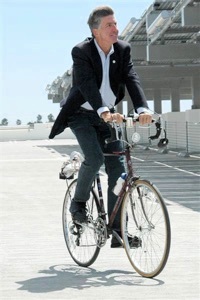 I can usually get anywhere in Santa Monica faster by bike. 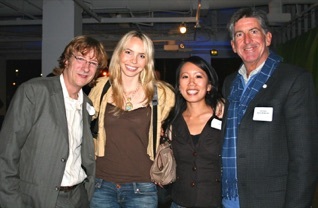 With “Who Killed the Electric Car?” director Chris Paine, and Santa Monica environmentalists Summer Bowen and Siel Ju (blogger green LA girl). 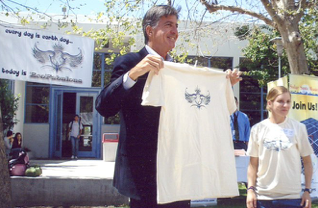 Celebrating “EcoDay” at Santa Monica College, home of our Santa Monica Green Team consultants, Sustainable Works. Know your ecological footprint?